The Fed's decision to continue increasing rates could have a negative impact on consumers' ability to handle mortgage payment shock. The financial industry has been undergoing big changes over recent years, leading to a degree of economic uncertainty that could impact both consumers and financial institutions alike. From new ways that the credit bureaus are computing credit scores to the Federal Reserve's promise to continue to increase interest rates as the economy shows signs of improvements, such changes in this realm are creating uncertainty in the market for all involved. After the financial fiasco nearly a decade ago, millions of Americans suffered from plummeting credit scores after going through foreclosure. That time was so financially stressful on homeowners that foreclosure filings spiked by over 81 percent in 2008, causing approximately 10 million families to lose their homes during the housing crisis. As a result, their credit scores inevitably tanked, leaving them unable to secure financing for any type of loan, including mortgages. Since then, lenders tightened the nooses in terms of the eligibility requirements borrowers needed to be approved for various types of loans, and credit scores were under heavy scrutiny. Over the past decade, Americans certainly made valiant efforts to improve their credit scores by keeping a closer eye on their spending habits. In fact, FICO recently announced that the average FICO score for Americans has climbed to a record high of 700. With higher credit scores comes the ability to qualify for better loans with lower interest rates. While Americans have been making strides with their financials since the housing crisis in 2008, there is also less temptation to get into a heap of debt. Since 2008, it's become incredibly difficult to get approved for loans due to the much stricter lending requirements that were implemented. Before 2008, subprime purchase mortgages and other loans were incredibly easy to get. In 2008, $116 billion worth of subprime first mortgages were issued, compared to $33.3 billion by 2011. Yet while credit scores have been steadily improving since the crisis in 2008, they may increase even more into the near future. Why? Two big changes in credit scoring have been implemented. As of July 1, the three major credit bureaus — Experian, Equifax and TransUnion — are getting rid of specific pieces of negative information from consumer credit reports that would otherwise pull credit scores down, such as tax liens and civil judgments. Such changes can help approximately 12 million out of the 200 million consumers with credit scores see an increase, albeit it a relatively small one of no more than 2 points. Obviously, this is a positive thing for consumers, as credit scores are used for a host of different loans and credit cards. Senate Republicans could make use of the Congressional Review Act to block the CFPB's new rule that would prevent financial institutions from using arbitration to settle consumer disputes. In over 30 states, attorney generals asserted that liens and judgments were often not associated with the right consumers, which negatively impacted their credit scores unfairly and inevitably hurt their chances of getting approved for loans. The three credit agencies will no longer attach liens or judgments to credit reports if they don't match at least three out of four components: name, address, birthdate, and social security number. While consumers may be happy about these changes, lenders and banks are concerned. As a result of such modifications, lenders will now have to deal with more closely assessing the financial health of borrowers, as well as who will be more likely to repay their loans. Lenders are now more concerned about potentially approving loans to consumers who may look better on paper than they really are, financially speaking. The Consumer Financial Protection Bureau (CFPB) recently announced two updates for its amendments to Regulations X (Real Estate Settlement Procedures Act) and Regulation Z (Truth in Lending Act) - together known as the Mortgage Servicing Final Rule - which was issued last August to amend several components of the existing Mortgage Servicing Rules. The changes will take effect on October 19 of this year. The first document handles technical corrections to the 2016 Mortgage Servicing Final Rule, including various typographical errors, an authority citation for Regulation Z, and effective dates for specific provisions. The corrections are minor in nature, and won't necessarily warrant any public comment. The second document is a little pressing and addresses concerns that many industry participants have had, though it is a non-binding policy. The CFPB issued this guidance as it relates to the servicing rule's implementation date. Concerns have been raised to the bureau about the issues that midweek effective dates can have, and that the 2016 Mortgage Servicing Final Rule may create issues for servicers. For many, Thursday effective dates would give servicers less than a day to test and update their systems in order to ensure full compliance with the 2016 amendments. Without enough time to test, the odds of errors in their systems would increase, making servicers - as well as consumers - vulnerable to risk. In response, the CFPB stated that it would not penalize any violations of existing Regulation X or Regulation Z as a result of a servicer’s compliance with the rule up to three days prior to the effective dates. Servicers are then able to begin putting the servicing rule into action a few days early without being subject to enforcement action for violations from the bureau. Senate Republicans have been making efforts to declare control and power of its elected lawmakers over bureaucrats. As such, they are now using the Congressional Review Act to stop the CFPB's new rule filed on July 10 that would block banks, credit card firms, and payday lenders from settling disputes with customers through arbitration, therefore keeping complaints associated with these financial institutions out of court. The new rule is set to take effect on September 18, with a separate deadline for firms to come into compliance slated for March 19, 2018. However, the rule will only take effect if Congress steps out of the way. 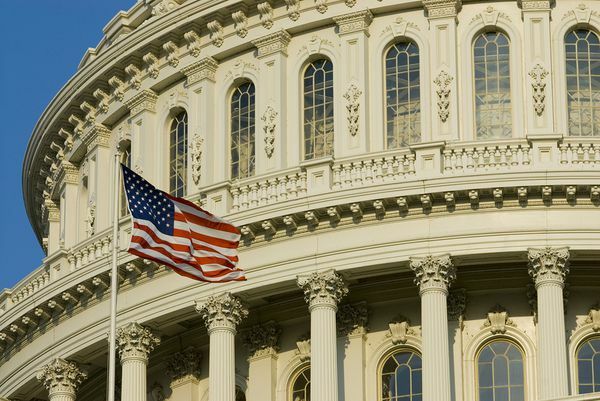 Previously, Congress expressed concerns with the proposed rule that were not dealt with in the final rule, claiming that the CFPB measure was based on a single study littered with defects and failure to consider the repercussions of such a change. As a result of these concerns and the CFPB's failure to address them, Congress could vote to overturn the rule and is using the Congressional Review Act that allows them to veto the regulation within 60 legislative days from when it is published in the Federal Register. Under the Congressional Review Act, any executive branch regulation made within 60 days of its announcement can be blocked by a simple majority of both houses of Congress. In fact, this act has already been used several times this year by congressional Republicans to block various rules from the Obama days. Senate Republicans claim that the failure of the CFPB to address concerns and requests from Congress to take a closer look at the proposed rule and come up with other options to eliminate arbitration shows the bureau's refusal to be accountable. 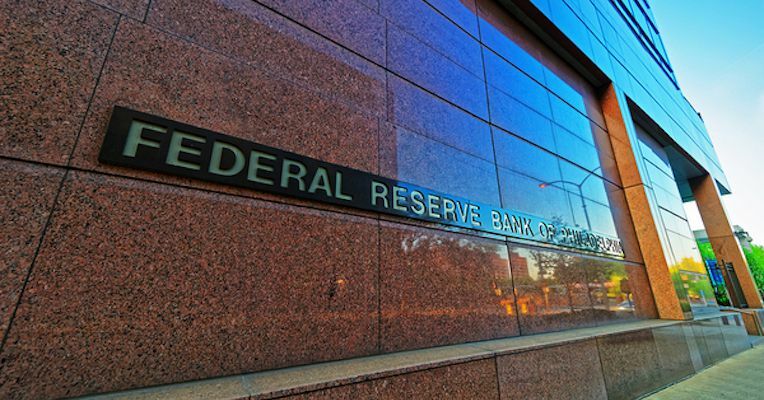 For years since the financial fallout in 2008, the Federal Reserve has kept interest rates extremely low in an effort to boost the economy. By keeping rates exceptionally low, it would be much more affordable for consumers to borrow money which would, in turn, help stimulate consumer spending once again. Indeed, low rates have made borrowing a lot cheaper and made it easier for Americans to afford sizeable mortgages. But over the recent past, the Fed has been inching the benchmark rate up after signs of economic improvements. In December 2015, the central bank increased the federal funds rate for the first time since 2006, then again a year later in December 2016. The latest interest rate increase just took place in June when the central bank raised the rate by one-quarter of a percent to a new target range of 1.0 to 1.25 percent. The decision to increase the rate took place despite expectations that inflation is well under the Fed's target. It's no secret that higher interest rates would make borrowing more expensive, but the impact of interest rate hikes has had a dismal impact on the ability for Americans to absorb the 0.25 percent rate hike and handle their mortgages. In fact, 10.6 million Americans may find it extremely challenging to handle an increase in monthly mortgage payments after the central bank increased interest rates in December. The study looked at 63 million consumers with debts where the minimum monthly payments required were influenced by the market interest rate, and therefore would be impacted by an increase in rates. However, after further assessment and analysis, the study found that just 1 million struggled with delinquency following the rate hike. The average change in monthly mortgage payments was a mere increase of $18 following the rate hike in December. Though the amount is low by many standards, 10 percent of the consumers that were considered at a higher risk of payment shock from a rate hike were delinquent over the study period. Consumers and lenders should be extremely cautious and vigilant. Despite the study showing only 1 million consumers being negatively affected over the study period, it didn't assess any long-term effects of an increase in interest rates. Both lenders and consumers need to be aware that continued increases in interest rates result in changes to the dynamics compared to an environment where rates remain steady. From a lending standpoint, an increasing-rate environment could present the risk of default. For borrowers, it's important to prepare for a steady increase in rates as their monthly payments will continue to rise. Given this time of economic uncertainty, now is as good a time as ever for lenders to take a closer look at their loan portfolios and make any necessary changes to remain profitable while reducing risk and remaining compliant with current regulations. By selling off risky assets in favor of more robust loan assets, financial institutions will be better able to remain highly profitable as they weather the changes that have already taken place as well as those that are yet to come.